Lady Antebellum performed an intimate concert at the Country Music Hall of Fame and Museum exclusively for Hilton Honors members on Friday. The event was part of Hilton’s music program, Music Happens Here, which provides its members access to top concerts, meet-and-greets and exclusive concerts at Hilton hotels and resorts in famous music cities such as Los Angeles, London, New Orleans and Nashville. 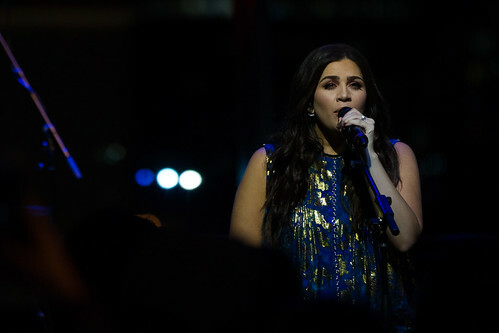 The performance followed Lady Antebellum’s “You Look Good Tour,” which wrapped up in September. The tour spanned 65 shows in six countries, including the band’s first shows in South Africa. Photos and article by Carina Eudy.